Andrea Mrozek | February 6, 2015. The decision was unanimous, 9-0, and it should be viewed as a victory for advocates of assisted suicide and euthanasia. The ruling chisels away at a prior understanding in Canadian law of human life—even difficult or painful life—as sacred. In the policy interplay between the United States and Canada, Americans can expect that “right-to-die” activists will be very motivated to use this Canadian case as an example, just as Canadian activists pointed to the “success” of “aid-in-dying” laws in Washington and Oregon. How did this get started? Today’s Supreme Court case, Carter v. Canada, is the result of two instances of women with terminal diagnoses. Kay Carter, diagnosed with spinal stenosis, received help to commit suicide in Switzerland in January 2011. Her family traveled with her and carried her case forward after her death. Gloria Taylor, diagnosed with ALS (popularly known as Lou Gehrig’s disease), joined the Carter family in their lawsuit, passing away naturally in 2012. Today’s decision has to be the emperor-has-no-clothes argument of the century. 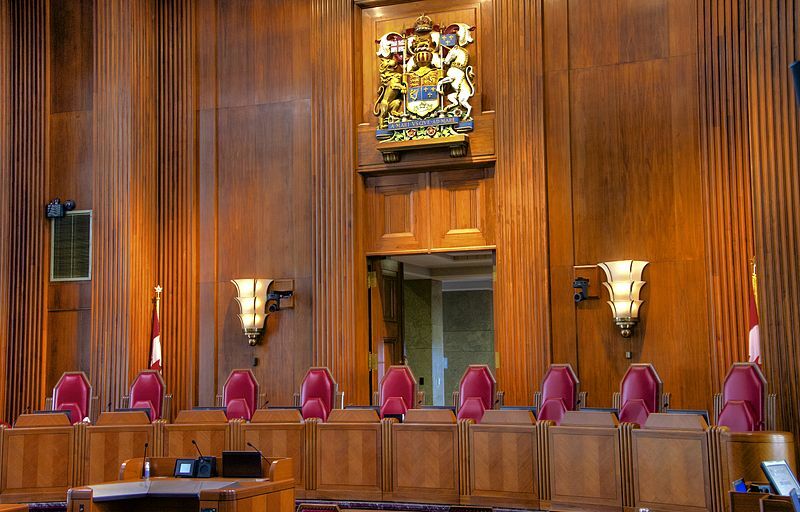 The Supreme Court of Canada appears to have ruled that citizens have a right to assisted suicide in limited cases in defence of their right to life. Why? Because denying legal assisted suicide may cause a person concerned about future suffering to take their life earlier than they might otherwise. There are a couple of silver linings in an otherwise terrible decision. The justices granted a 12-month stay, meaning that Canadian Parliament has one year to come up with other provisions in place of the old ones. In theory, these new laws could be very robust. Then there’s a slim chance the “notwithstanding clause” in our Charter of Rights and Freedoms could be used. This is an extremely politically controversial tool that would essentially override today’s Supreme Court decision. It remains a long shot particularly as Canada is heading into a federal election by fall 2015. Therefore, this is not the comfort it should be, since two provincial Colleges of Physicians (Ontario and Saskatchewan) are currently deciding whether conscience protections for doctors should remain on their books. Our research at the Institute of Marriage and Family Canada, examining other jurisdictions internationally with legal assisted suicide/euthanasia like Belgium or the Netherlands, reveals an increase in uptake on assisted suicide and expanded access to death that includes children and newborns. There are instances of death given without consent. It seems clear that safeguards are very difficult to maintain. Today Canadians who oppose this decision will be treated to a little salt in their wounds, with papers full of the celebratory photos of those who purport to stand up for the suffering and the vulnerable, but who, in reality, have plenty of resources and even attorneys at their disposal. It is now to the truly weak and vulnerable that we must turn with renewed attention and vigor, working to provide company, support and palliative care by whatever means necessary. Andrea Mrozek is the executive director of the Institute of Marriage and Family Canada (www.imfcanada.org).